I’ve come to hold Sonja Yoerg novels in very high esteem. They are usually very thought provoking, well written, and real. So naturally when this book came across my desk for review, I was thrilled. Though the description sounded slightly different than something I would expect from Yoerg’s novels…..this one had a magic element which surprised me. While this was unexpected, I love books with magical realism and magic themes so I was even more excited to read this one than I was her other novels. But now her mind is playing tricks on her. The accounts won’t reconcile and the murmuring she hears isn’t the television. She ought to seek help, but she’s terrified of being locked away in a mental hospital like her mother, Solange. So Carole hides her symptoms, withdraws from her family and unwittingly sets her eleven-year-old daughter Alison on a desperate search for meaning and power: in Tarot cards, in omens from a nearby river and in a mysterious blue glass box belonging to her grandmother. An exploration of the power of courage and love to overcome a damning legacy, All the Best People celebrates the search for identity and grace in the most ordinary lives (summary from Goodreads). 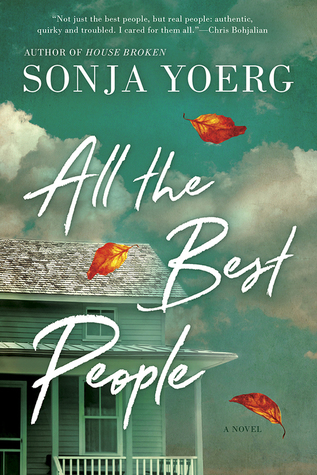 One of Yoerg’s hallmarks is writing powerful standalone novels that are memorable stories about women and families and this one is no different. 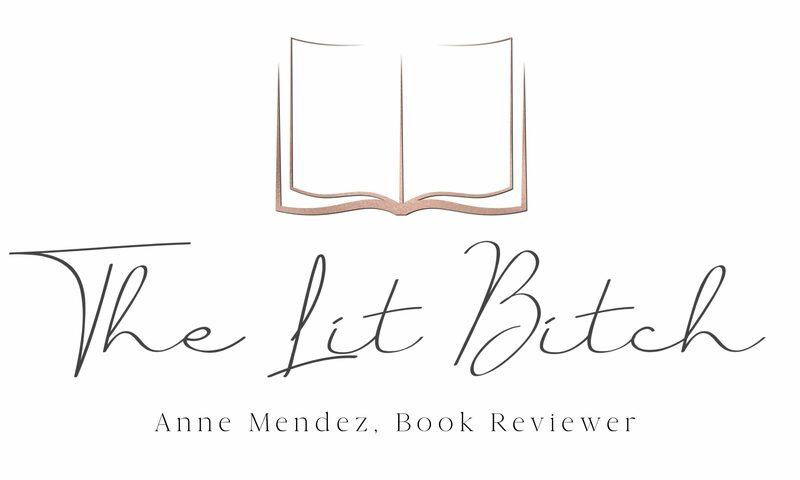 But I would hesitate to call her books ‘chick lit’ or ‘women’s fiction’…..her books are so much more than that and I see that other reviews have the same opinion! I love how there is some theme that plays a prominent role in her books, in this one it’s mental health. This book had hints of ‘magic’ I would actually call it more mysticism than magic. There are hints at things like Tarot cards but not things like casting spells etc. I thought this really set the tone for the novel. I love stories with hints of madness, I normally don’t prefer to be up close and personal with madness in novels in this way, but this one was really well done. I loved trying to understand Solange’s situation and I loved watching Carole’s reaction to Solange. This is a book about choices and how they impact our lives and the lives of others. This book makes you look at the choices each of the characters makes and examine them live in living color and I LOVED that about this book. This is what what I have come to expect from Yoerg’s novels…..bold is the only word I can use to describe her novels. I love how this book makes the reader look at the decisions made and how they echo through the lives of the characters. It’s very powerful and gripping. This is a book full of loud, upsetting moments but then quickly followed up with reflections by the characters which the reader can also take in and examine on their own. It’s a novel full of mental illness, love, family, as well as a host of other emotions with three generations of women and how those choices effected each of them. I loved this book. While it was heavy at times and even made me uncomfortable in some ways, it was thought provoking and intriguing. I found myself frustrated that I didn’t have more time to read because I wanted to glean more from the pages and reflections from the characters. At other times I was glad for a break but yet couldn’t get the book out of my mind and found myself searching it out again. This was a book that had a lot of emotion. If you haven’t discovered Yoerg’s books, you need to. They are all stand alones and I highly recommend each and every one! I feel like Yoerg’s books are some of the best kept secrets in literature! This one is definitely another winner! I just finished listening to All the Best People and am nodding along with your review. It was riveting. I LOVED Carol’s voice and witnessing her experience with the voices.